Congratulations to Marvin Macaraig who, next week, will start a new position as Scarborough Cycles Bike Hub Coordinator/Community Health Worker at Access Alliance Multicultural Health and Community Services. Between 2015 and 2017, Marvin was the Scarborough Cycles Project Coordinator at TCAT. During that time he played a key role to establish two community bike hubs in Scarborough at Access Point on Danforth and Birchmount Bluffs Neighbourhood Centre. While Marvin’s new role is very similar to his previous role, the change in employer is an important behind-the-scenes distinction for the Scarborough Cycles team working together to accelerate change. 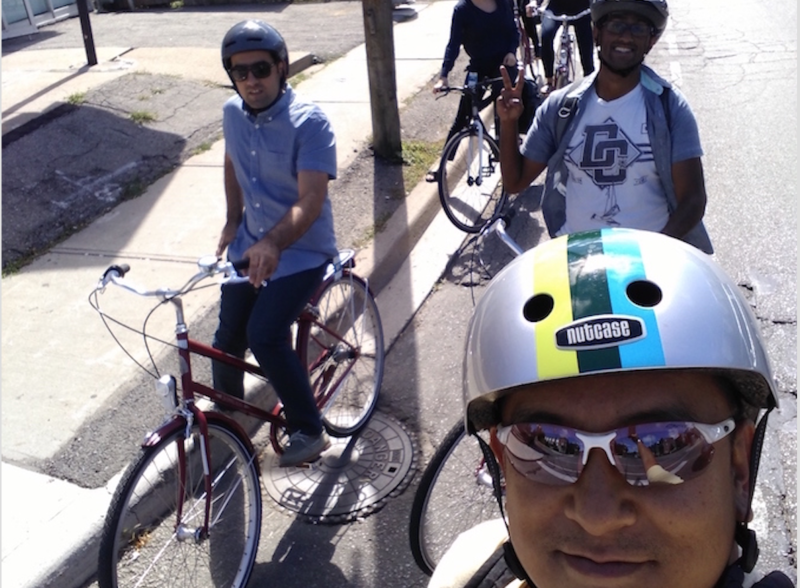 Between 2017 and 2019, the Scarborough Cycles team is committed to building capacity and embedding cycling knowledge and skill directly within our Hub Partner organizations. Scarborough residents who are accessing the wide range of programs, workshops, and rides offered at Scarborough Cycles Bike Hubs will likely not notice any change. Nonetheless, it’s an important step in the right direction for long-term sustainability.